Teri Gender Bender from Le Butcherettes writes about how the Nigerian activist Bisi Alimi has been an inspiration to her mission to change the world for the better. 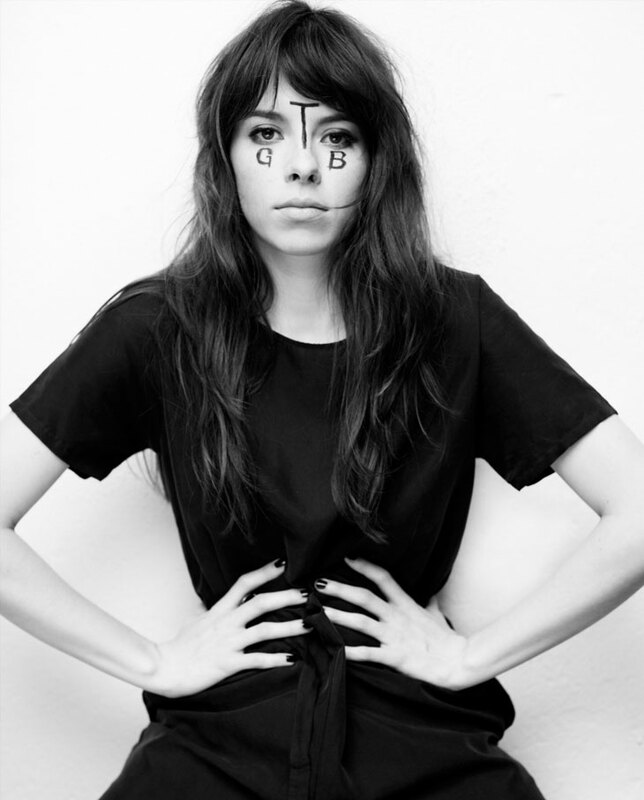 For LGBT History Month, Le Butcherettes founder and frontwoman speaks up about her rally for human rights. The singer-songwriter who fronts the garage-punk outfit from Mexico talks about music’s ability to change both emotion and society. She pinpoints the Nigerian human rights activist, Bisi Alimi, for igniting her passion for equality for all minority groups through his bravery about challenging homophobia in his native country and further afield. Teri explains how her band’s foundation lies upon the belief in human rights empowerment. She believes that, if we stick together, change for the better can happen more quickly. Grief is a very selfish emotion. Why not share it? Turn it into a message and fill it with broken pearl necklaces? 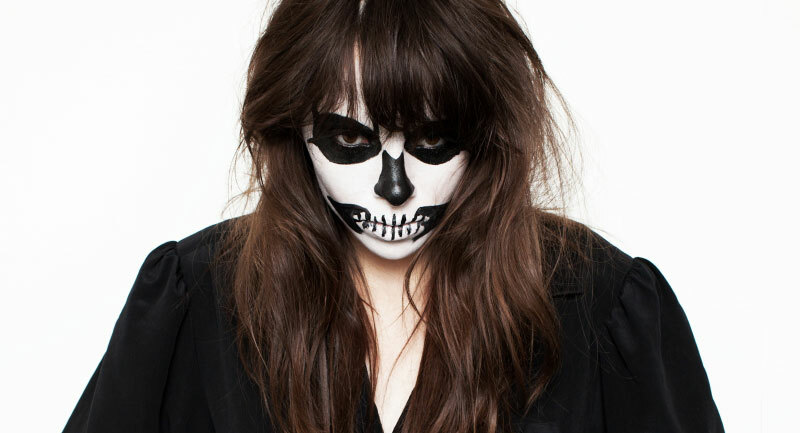 Before the beginning of my band Le Butcherettes, I was filled with grief because my father had passed away. I was growing isolated with a forced smile on my face, careless about myself. During this time, I discovered artists of grand caliber that would gave me hope: Fela Kuti, Sun Ra, George Sand, Kathleen Hanna, Angelica Rojas, Anne Sexton and many more. I felt the truth in their words and the works they made were, in my mind, raw and astonishing. This inspired me to dream up my project of music based on literature and human rights empowerment with the sonic influence of Iggy Pop and Jello Biafra, Hanna Höch. There were no demoralized agendas behind the concept of Le Butcherettes although, I must admit, there was a lot of ambition and a huge urge to send a message. Life is too short and it never belongs to us solely. It is for sharing. I could go on that my dream started in my hometown Guadalajara but it started before I was even born. Although a dream never pertains to just one person, it is floating around waiting to be tamed and sucked into this reality. Recently, I have been feeling a loss of my self-confidence, my “proposito”. My reason to stay on earth. I felt that the voice of today is only taken into account if it is trendy or mindless. I hid from the internet, I hid from television, until one day I went online and went on to read the news and I saw a story about a man by the beautiful name of Bisi Alimi. He is a homosexual man from Nigeria fighting for human rights. And I am in the process of working with him to help spread the message that a corrupt government is the devil that promotes hate crimes against gay, lesbian, black, latino, women and all other minorities. I see it on the road all time and it is exhausting. I am shocked by the small questions he is asked. “So you have never been with a girl?” How people can miss the point so far? I can relate to Bisi because he is outspoken and will not let himself be persuaded to be kept quiet despite the fear of losing it all. Life is very short and he gives his all at all times for a message that does not belong solely to him but that should belong to the world. Equality. Love. Compassion. He is very young and has achieved so much because he believed in himself and in the rights for humanity. What moves me so much about Bisi is that he is a compassionate human being. In Mexico, taxes don’t go to where they should go. They go into the pockets of the corrupt, therefore the country is surrounded in beautiful filth. It is a homophobic country where friends of mine had to hide their sexuality with the fear that they would be disowned by their family and fired from their jobs. Dali once said, “I will never go back to Mexico because it is more surreal than my paintings”. I love my country and I know Bisi loves his country. It is the imposed moral imperialist ideas that keep a country from blossoming. I have never been to Nigeria but I imagine that it is a country that is surreal beyond comprehension, and for Bisi to be outspoken and compassionate for the rights of gay men and women moves me to happy tears. Finally, I have someone new I can look up to for inspiration. He represents the fight against homophobia and is a contemporary human rights spokesperson. I am from Mexico where corruption is very standard in daily life. Private interests in major corporations are of bigger importance than the social status of women’s and gay rights. What Bisi has done is a big step not only Nigeria but for all of the world. There are very few people that believe in really changing the world, and I relate to Bisi because I also want to change the world with my music. He is for freedom of expression in an age where this should come easily for people all around the world, and to our surprise it’s 2014 and it’s still a battle. If more and more artists (gay, lesbian, latino, black etc) can rely on each other to support one another instead of looking out for their own agenda a lot of change can happen.